The Berlin Wall symbolized the struggle between Western democracy and communist tyranny for nearly 30 years. 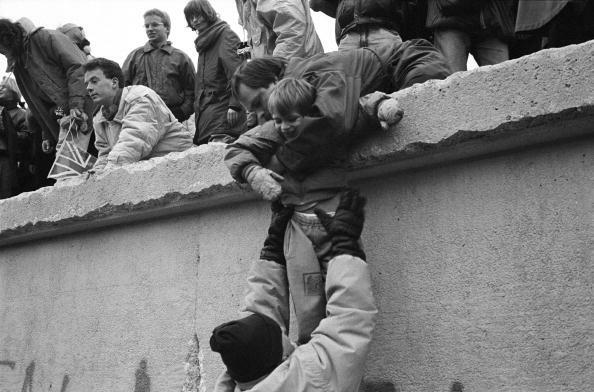 This year, on Nov. 9, marks 29 years since both West and East Berliners breached the wall in 1989 with the determination to bring down this barrier to human freedom. The wall separated a tyrannical society from a free society in which people were at liberty to come and go as they peacefully pleased. The Soviet-imposed totalitarian regime was so fearful of its own people’s desire to leave that it brutally did all in its power to keep them prisoners within the borders of the Marxist state. It is worth recalling how and why the Berlin Wall was constructed in the first place, and what it meant in the great struggle between freedom and tyranny in the stream of 20th-century political events. On Aug. 10, 1961, Nikita S. Khrushchev, the premier of the Soviet Union, attended a birthday party in Moscow for Sergei S. Verentsov, the Soviet marshal in charge of the missile program of the Union of Soviet Socialist Republics. Khrushchev informed the celebrating assembly of leading Soviet military and political dignitaries that something momentous was about to occur. “We are going to close Berlin,” Khrushchev announced. “We’ll just put up serpentine barbed wire and the West will stand there like dumb sheep. And while they’re standing there, we’ll finish a wall.” The crowd broke into an enthusiastic applause. The city of Berlin had been divided into four Allied occupation zones at the end of World War II in Europe. The eastern half of the city was the Soviet zone. The Western half was divided into American, British, and French zones, surrounded by the Soviet zone of occupation in Eastern Germany. The closest British or American zone of occupation in western Germany was 110 miles to the west. The Soviets had established a “people’s republic” in their zone—the German Democratic Republic, with East Berlin as its capital. Between the late 1940s and 1961, more than 4 million East Germans and East Berliners took advantage of the relative ease of crossing from the Soviet zone in Berlin to one of the Western zones to “vote with their feet” and leave the “workers’ paradise” that Moscow had imposed upon them. This mass exodus was a huge embarrassment to both the Soviet and the East German governments. It also represented a huge loss in skilled labor and in many of the professional occupations. The Soviets were almost completely successful in keeping the secret that West Berlin was to be sealed. Two days later, on Aug. 12, 1,573 East Germans crossed the line separating East and West Berlin and registered as refugees desiring to live in the West. They were the last group to be allowed to freely depart. The Soviets stretched barbed wire across the Brandenburg Gate facing the Western zones in the center of the city. And at 2:30 a.m. on Aug. 13, the border between East and West Berlin was closed. Two days later, on Aug. 15, work began on the Berlin Wall; it was made of brick and concrete and took two years to complete. It was 28 miles long and 9 feet high with barbed wire at the top when finished. East German guards armed with machine guns fired upon any who attempted to cross it. There was also a 200-yard area leading up to the wall covered with landmines and patrolled by police dogs. Yet, in spite of this, during the 28 years of the wall’s existence, between 1961 and 1989, an estimated 5,000 people managed to escape either over, under, or through it. Some escaped through the sewer system. Others dug tunnels; the longest was 500 feet long, and 57 people used it to make their getaway to West Berlin in 1964. One woman sewed Soviet military uniforms for three male friends, who drove through one of the wall’s border checkpoints with her crammed under the front seat. An archer used an arrow to shoot a cable over the wall from a building in East Berlin and slid along it to freedom. Some constructed hot-air balloons and crude flying machines using bicycle motors to power their flight over the wall. Others swam across canals or rivers that separated parts of East and West Berlin. There also emerged a smuggling business that ran ads in West German newspapers. One such company, Aramco, with headquarters in Zurich, Switzerland, gave out press releases referring to their “most modern technical methods.” The company’s prices were not that unreasonable: $10,000 to $12,000 per person, with “quantity discounts” for families, payable into a numbered account in a Swiss bank. If an escape attempt failed, the company refunded most of the money to the Westerner financially sponsoring the breakout. The East German government issued “wanted” posters on the East Berlin side of Checkpoint Charlie, offering 500,000 German marks for the director of Aramco, Hans Ulrich Lenzlinger. The posters negatively referred to him as a “trader in people.” In February 1979, someone collected the bounty on Lenzlinger’s head, after he was shot repeatedly in the chest and killed at his home in Zurich. He was not the only victim of escape attempts. During those 28 years of the wall’s existence, 80 people lost their lives trying to get to the western side of the wall. More than 100 others lost their lives trying to escape along other points of the highly fortified East German border. One of the most inhumane border killings happened in August 1962. Peter Fechter, an 18-year-old bricklayer, was shot while attempting to climb over the wall. For 50 minutes, he begged for help as he slowly bled to death from his wounds in sight of soldiers and journalists watching from one of the western border checkpoints. Only after he died did the East German guards retrieve his body. The Berlin Wall came to symbolize the Cold War and its division of the world into halves, one half still relatively free and the other half under the most brutal and comprehensive tyranny ever experienced in modern history. Nothing was supposed to cross the Iron Curtain of barbed-wire fences, land-mined farm fields, and machine-gun watchtowers that cut across central Europe from the Baltic to the Adriatic Sea, without the permission of the Soviet masters in Moscow. What the Berlin Wall epitomized was the 20th-century idea of the individual as the property of the state. Behind that wall, the East German government told the people where to live and work, what goods they could consume, and what enjoyments and entertainments they would be permitted. The state determined what they read and watched and said. If anyone attempted to leave without permission, they could be shot and left to die, alone and helpless, with others forced to stand by as horrified observers. In the 19th century, the great triumph of classical liberalism had been the abolition of the last of the ancient restrictions on the right of the individual to his life, liberty, and honestly acquired property. This had included the right of people to freely travel without undue government interference or control. In earlier times, it was not only the physical difficulties of transportation that prevented people from moving from one region or continent to another. Matching these physical barriers were the legal barriers of taxes, tolls, passports, and serfdom, which bound the vast majority of people to the land owned by the privileged and titled political castes. A logical extension of the right of self-ownership over one’s mind and body, and its use to further his personal and peaceful purposes, was the right to move to where he believed he could best improve his circumstances. As the 19th century progressed, the various restrictions on the freedom to move were removed. Passports were virtually eliminated throughout the major countries of Europe and North America, and legal barriers to both emigration and immigration were almost completely abolished in these same nations. Tens of millions of people, on their own personal account and with private funding, left their places of birth in pursuit of better lives and fortunes in countries and on continents of their own choice. The freedom to travel matched the increasingly free trade in goods and capital. About 60 million people took advantage of the greater freedom of movement between 1840 and 1914 before World War I began, with more than half of those 60 million coming to the United States to start a new life in a society of liberty. But with the coming of World War I, governments reinstituted passport and other restrictions on the freedom of movement. With the rise of the totalitarian ideologies in the years following the end of World War I, the freedom to move was abolished. Communism, fascism, and Nazism all worked from the premise that the individual was subordinate to and lived and worked only for the advancement of the interests of the state. As an “object” owned by government, the individual stayed put or was forcibly removed to some other location under the brutal orders of the political authority. On this soon-to-be 30th anniversary of the fall of the Berlin Wall, we should remember all that it represented as a symbol of tyranny under which the individual was marked with the label “property of the state.” He was not only controlled in everything he did and publicly said, but every movement was watched, commanded, or restricted. Freedom in all its forms—to speak, write, associate, and worship as we want; to pursue any occupation, profession, or private enterprise that inclination and opportunity suggests to us; and to visit, live, and work where our dreams and desires lead us to look for a better life—are precious things. The history of the Berlin Wall and the communist ideology behind it should remind us of how important a loss of any of our freedom can be as we determine in what direction—toward greater individual freedom and free enterprise or more government command and control—we wish our country to move in the 21st century. 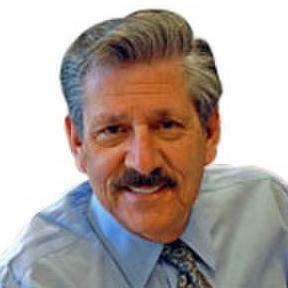 Richard M. Ebeling is the BB&T Distinguished Professor of Ethics and Free Enterprise Leadership at the military college The Citadel, in Charleston, S.C.